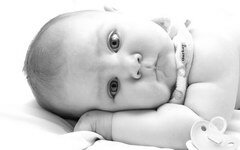 Pregnancy and Kids: What if the baby do not stops crying? What if the baby do not stops crying? Inconsolable baby is an ordeal for parents. Hard enough to cry at times. If tears will ease the situation, feel free to weep. When the baby stubbornly refuses your attempts to the console, or even seems as if she's angry at you, remind yourself that she is too young to understand the concept of guilt. And while there are things you can do to make it comforted, make them. And the fact that your baby has colic, has nothing to do with your parenting skills. Share care about the baby with her partner. It would be good if you're a relative or friend at least occasional respite, so you can focus on yourself - even if you walk alone, or to refresh short rest. If you find yourself in a situation where you become very frustrated or even angry when it comes to your baby, breathe deeply and gently put into the crib. Then call a relative or friend to come and stay with it until you calm down. Do not hesitate even to seek professional help if necessary. You certainly will not be able to restrain always crying. In fact, it is possible to cry because of what it takes to do that, because the baby does not know how to communicate differently when it comes to satisfying its needs. And you her best to help you if you respect and accept. Continuing to hold, rock back and forth, whispering to her and let her cry, it is important that it is secure in your love.